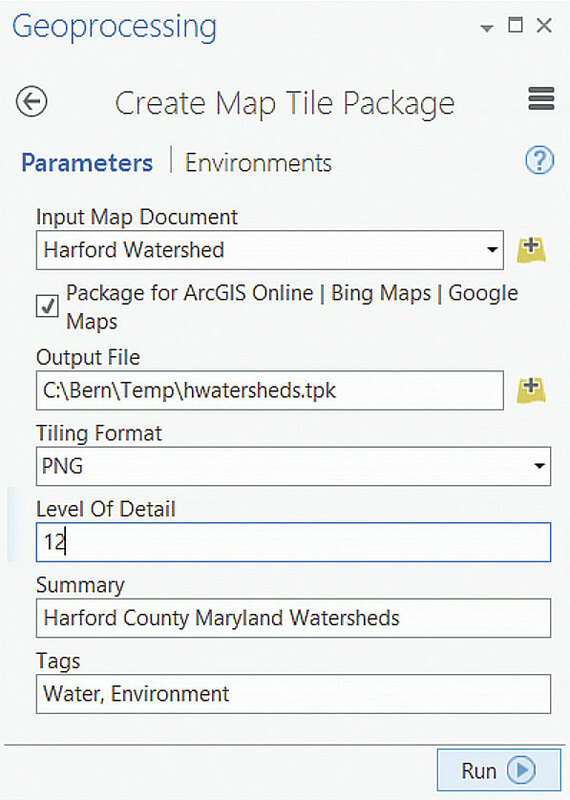 Once you've created the tile package, there are three methods you can use to add it to your ArcGIS account. 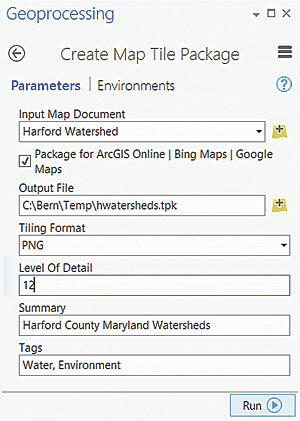 Browse for the tile package, enter a title and tags, and click Add Item. 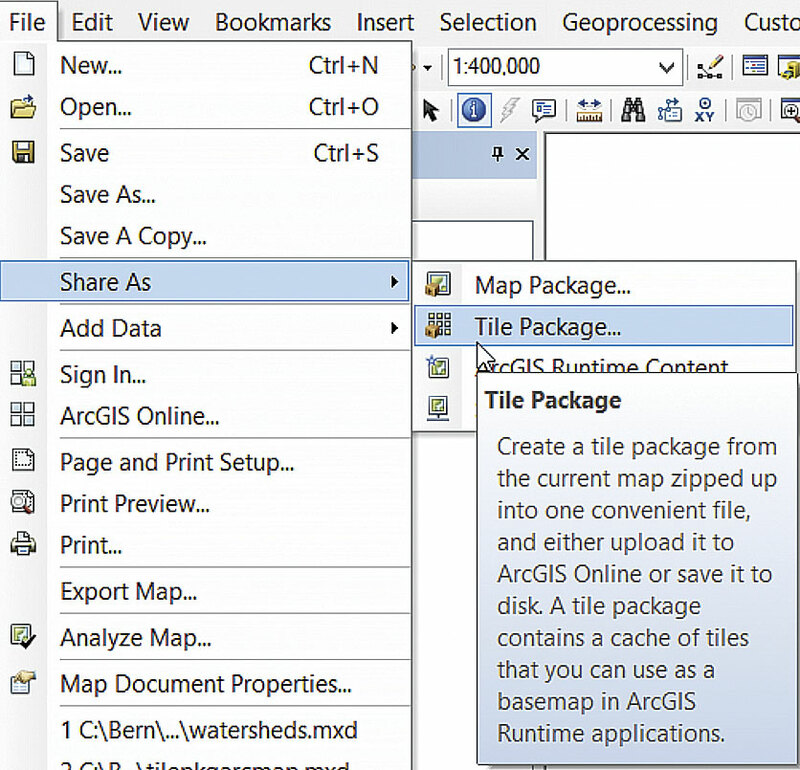 Note that you can choose to either publish the tile package immediately upon upload or upload the item and publish it later. When attempting to upload tile packages that exceed 1 GB, you will see a message warning, "File too large." 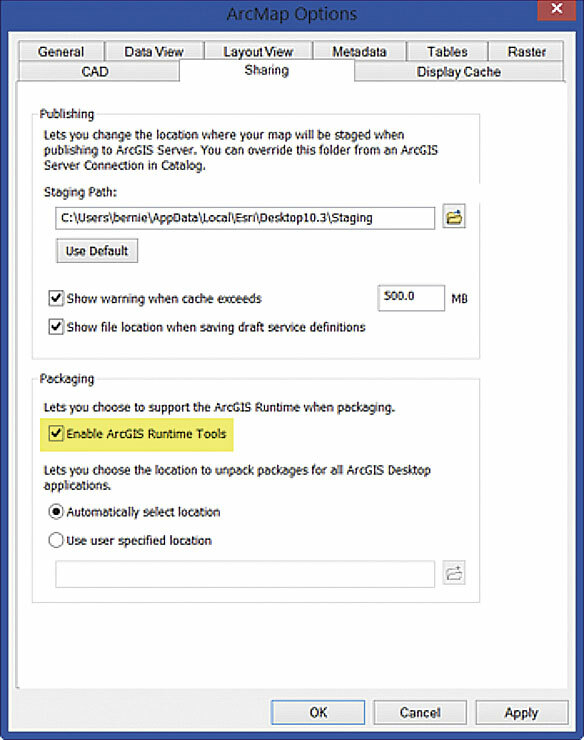 In this case, upload the package using ArcGIS for Desktop as described in the following section. 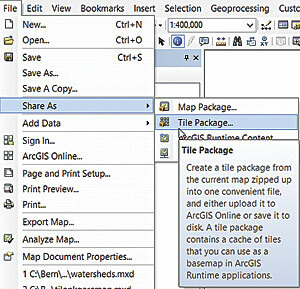 Open the Share Package geoprocessing tool. 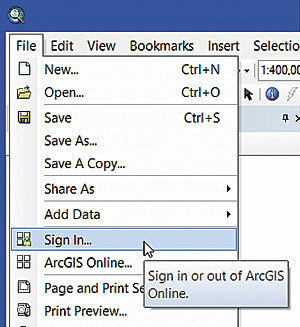 Click Geoprocessing, then choose Search For Tools. 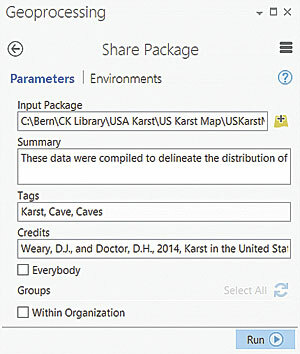 Type "share package" and locate the Share Package (Data Management) tool. 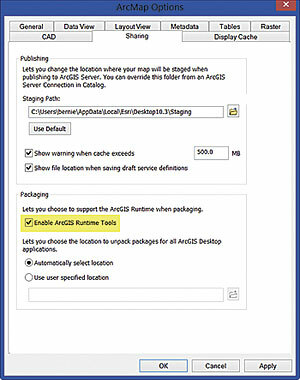 Locate the Share Package tool. 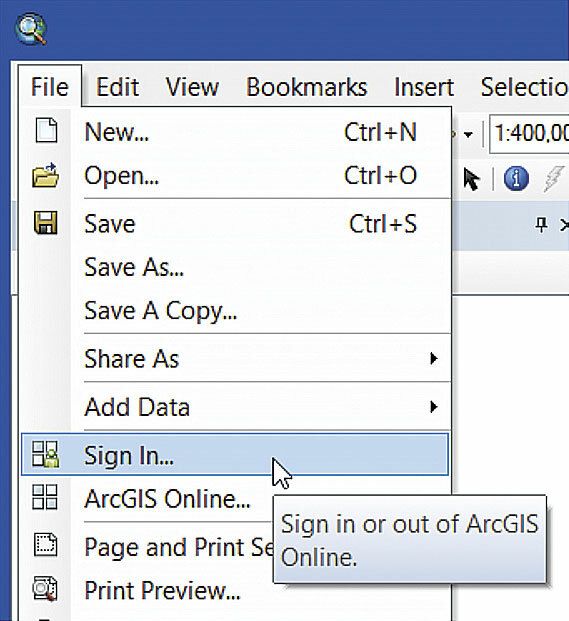 On the Analysis tab, click Tools. 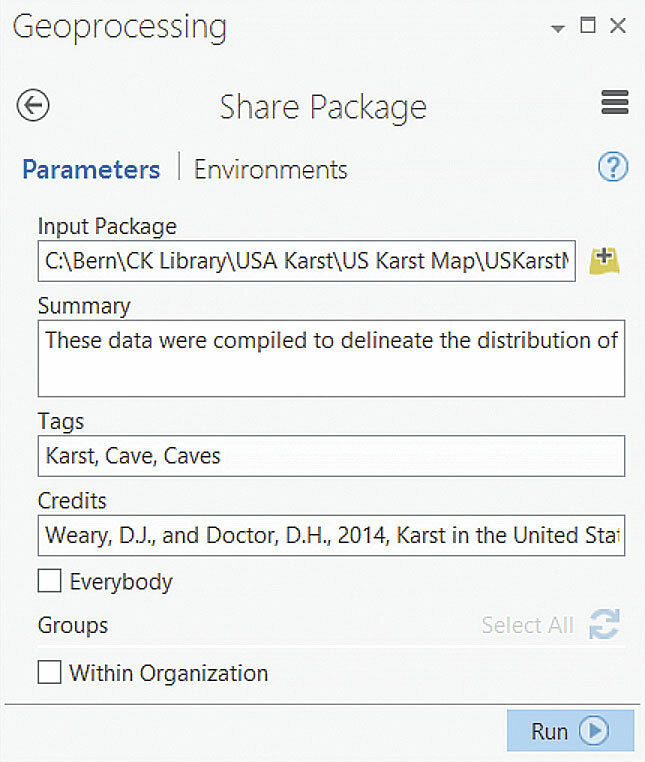 In the Geoprocessing pane, type "share package" in the Search window to locate Share Package (Data Management).